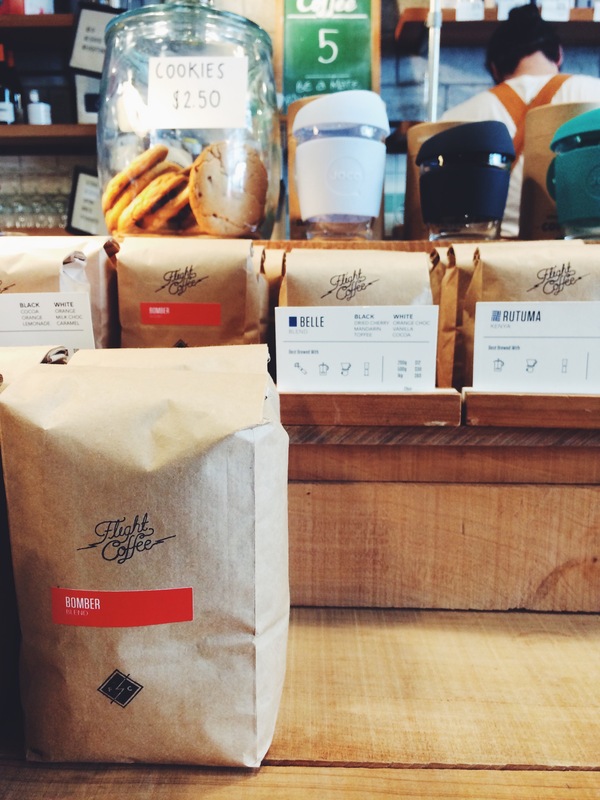 Wellington has been named as one of the top coffee destinations in the world. The thriving coffee culture has a long history dating back to the 1930’s and has become an important factor of this metropolis’ identity since then. On every corner of the city you will discover various coffee shops serving the great liquid energizer. There is a special one though which has respect for talented baristas, ethically produced and locally roasted coffee beans, The Hangar. You can have a lovely breakfast or brunch made from local, seasonal and organically produced ingredients. 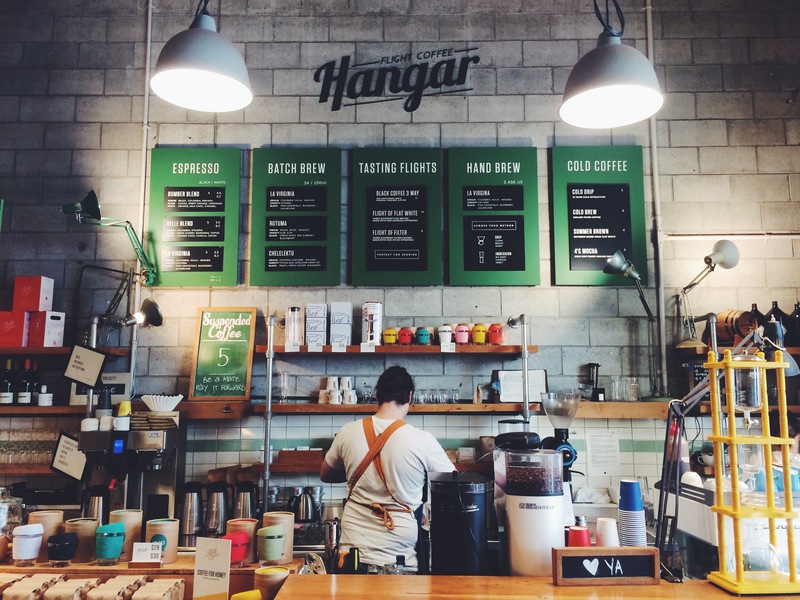 The Hangar is located on 119 Dixon Street, in the heart of the city and it lets every customer experience it’s high quality Flight Coffee on a different level. The interior is rustic and industrial. The wooden decor and concrete block walls give the place an unfinished yet comfortable and cozy look, resembling an authentic coffee roastery. The busy but friendly staff is always happy to help you to get to know more about the extensive coffee menu and to find the perfect one for you. 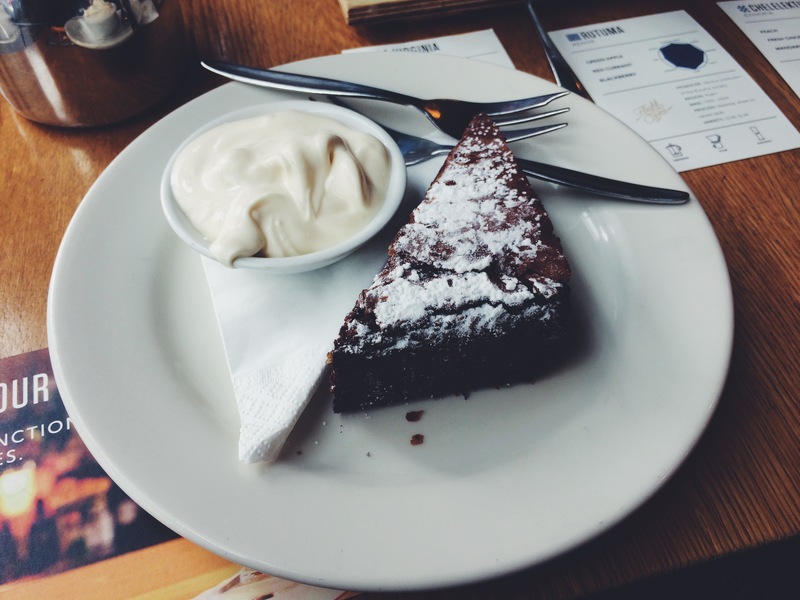 Sumptuous warm brownie with yoghurt. Divine! The Hangar may seem as an ideal place for a quick and delicious takeaway for energy boosters but it’s doubtlessly more than that. I would suggest to take your time and confront yourself with the wide range of coffee options. 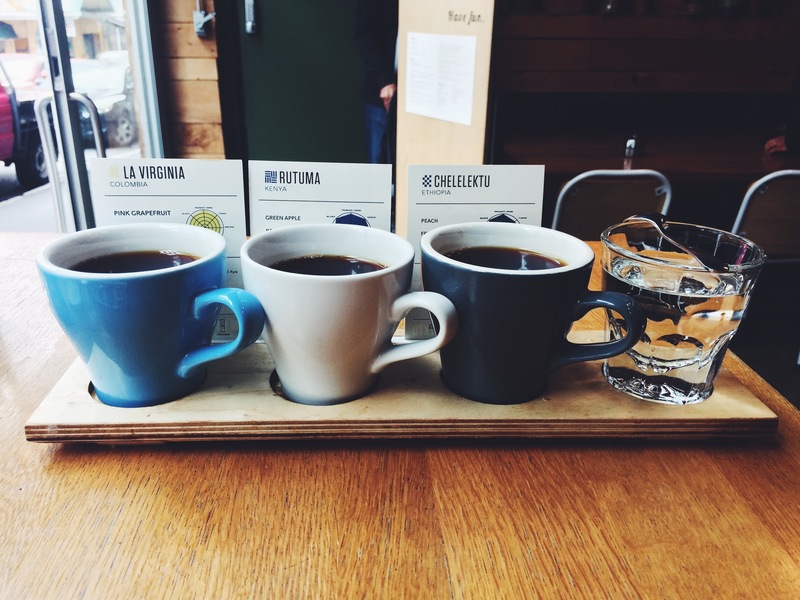 The real coffee lovers or just the curious ones can widen their knowledge and order the Tasting Flights: You will be served with three cups of different coffee. All of them are from various countries, with different flavors and ways of processing. It’a an amazing opportunity to taste the diversity of the essence and to discuss it’s characteristics. My favourite is La Virginia from Colombia with it’s smooth berry taste. It’s the perfect start of the day! I love the mentality of this place, they believe that brilliant coffee can come only from high quality raw beans. That’s why Flight Coffee operate their own small farm in Calarca, Colombia so they can work on perfecting their process and agronomic experiments. They also cooperate with other small farms like for example in Ethiopia or Kenya to support them and their environment and have a better view on the quality of the beans. So next time if you order their coffee or buy coffee beans you know that it’s done in a fair way by happy people. By the way if you want a fresh cup of this roasted perfection every morning within your own four walls, you can order it online and they will ship it to your home door for free! What a service, right? Choose your favorite coffee and try it at home! 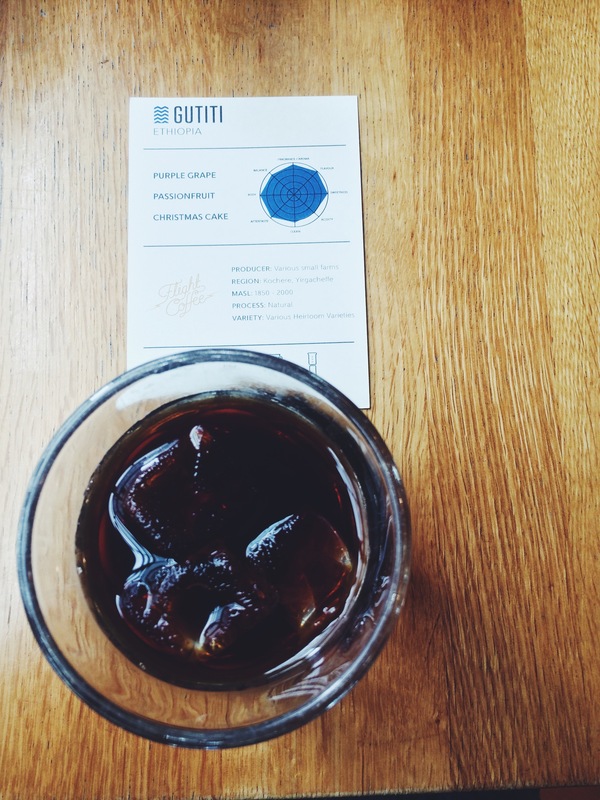 Another incomparable experience at The Hangar is the cold shot of coffee served on rocks and extremely rich in flavors, carrying the name Cold Drip. It’s a fancy and complicated brewing method which takes 12-24 hours to prepare this quixotic drink. It’s refreshing, different and honestly it tastes like Whisky! 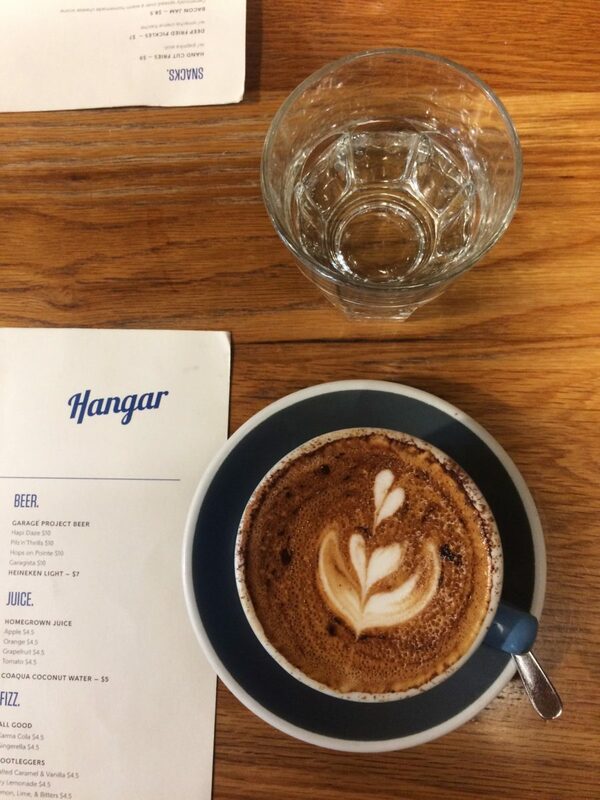 The Hangar is definitely Wellington’s treasure and epitome for people who’s heart starts beating stronger for a coffee even before taking a sip of it. 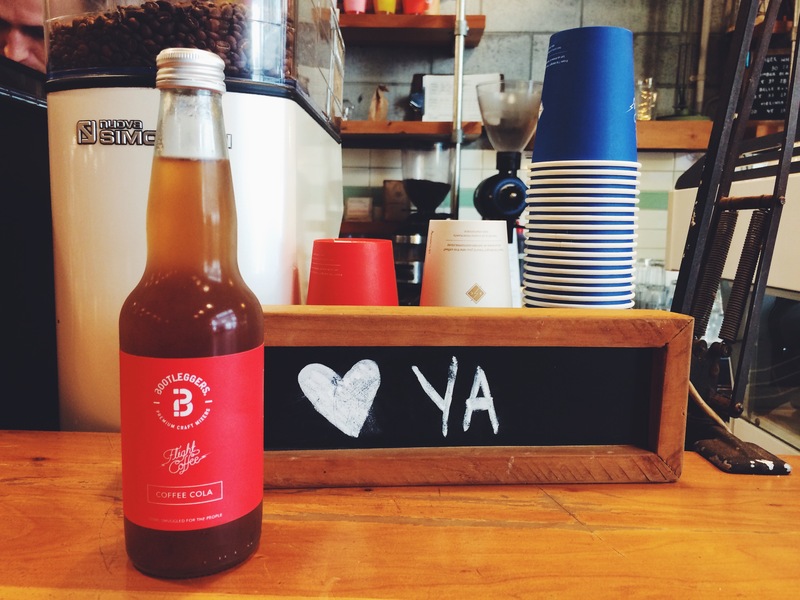 It’s always worth to visit the café, because you’ll be constantly surprised with new ideas like coffee cola. Sounds crazy, tastes indescribably good!